There would seem to be no association between Bobcat equipment and motored vehicles made by Chevrolet. Yet the author of this article recalled, while writing the following article, something she once read about one Chevrolet. She had read about the problems Chevrolet encountered when it tried to sell its “Nova” cars in Latin America. In Spanish, the word “nova” means “don’t go.” Having read about the Bobcat plants in Europe and in Asia, the author formulated some advice for the executives who sit at desks in the Bobcat offices. Read below to learn what advice she had for those men and women. 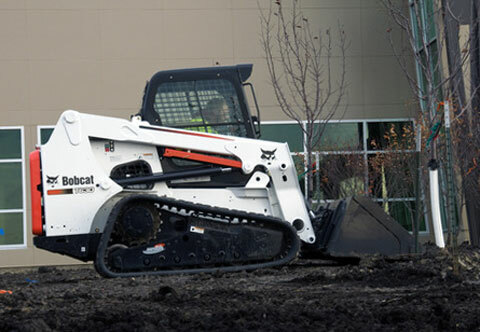 Manufacturing plants in North America, the Czech Republic and China turn out Bobcat equipment, equipment that can be used on farms and at construction sites. Yet few pieces of Bobcat equipment have achieved the widespread recognition that has been given to the Bobcat skid loader. What is a skid loader? It is a combustion-driven machine with arms that can be used for lifting. Those movable arms can raise labor saving tools to workers on a construction site, or they can help to lift bales of grain that has been gathered in the field. Still, this one piece of Bobcat equipment did not achieve its current level of distinction from its movable arms alone. The typical skid loader is a four-wheel drive vehicle. The wheels on the left side of each skid loader operate independent of the wheels on the right side. The operator of the skid loader uses the speed and direction of rotation of the wheels to guide the direction of the skid loader. 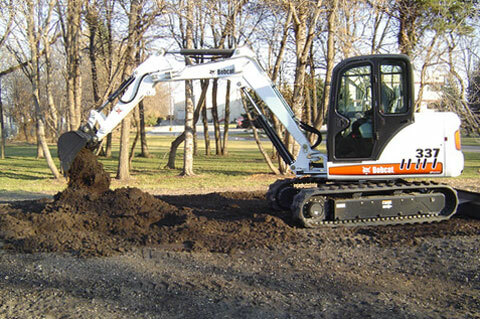 Two other characteristics of the skid loader have allowed it to become the signature piece of Bobcat equipment. First, each skid loader has the ability to make a zero-radius turn. That means that the operator can have the skid loader appear to “pirouette” during any on-site operation. The arms of the skid loader then complement the loader’s agility. The makers of Bobcat equipment put those arms in a very useful location. 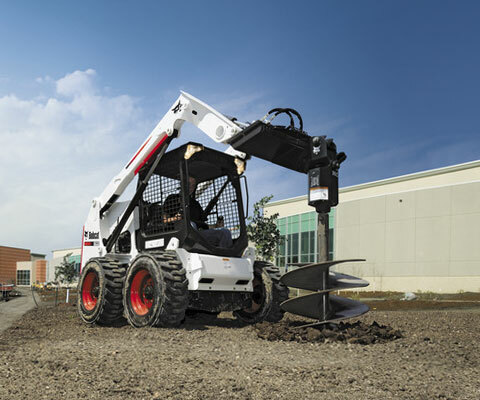 The arms of the Bobcat skid loader do not have a pivot point in the conventional location. Their pivot point has been placed behind the shoulders of the skid loader operator. When they first came on the market, the Bobcat skid loaders could put the operators in danger, because the operator was allowed to get so close to a moving boom. Later the makers of Bobcat equipment corrected that “flaw.” Bobcat began to turn-out skid loaders with fully-enclosed cabs. 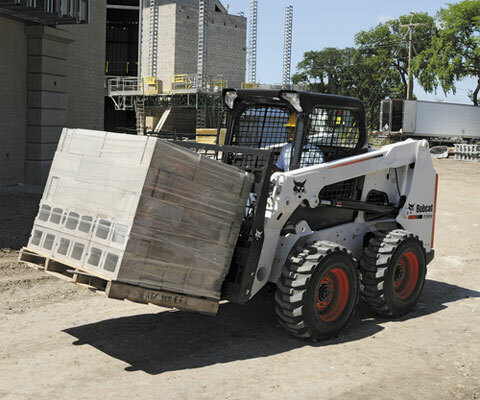 By combining that enclosure with a few other safety features, Bobcat gave operators the freedom to safely push, load or carry material from one location to the next. The popularity of the Bobcat skid loader threaten to make the term “Bobcat” a generic name, a name used for any type of skid loader. Bobcat authorities have sought to prevent that eventuality. The makers of Bobcat equipment have trademarked the word “Bobcat.” Legally, the word Bobcat should only be associated with a skid loader that has come from one of the Bobcat manufacturing plants. The above information has raised a question in the mind of this writer. This writer wonders whether or not the executives in the Bobcat offices know the Chinese word for the agile and fast animal known as the bobcat? Do they know what word citizens of the Czech republic use for that same animal? My father has tons of bobcats. He sold a couple of them and loves to rebuy used bobcats for sale. He uses them in everything he does. he shovels snow, moves dirt, and much more. Thanks for the webpage. I love thinking about my dad.